The question “What kind of person do you want to be” may seem like a silly one to some, but is a very good question to me. It is a question that I think a lot of people never ask themselves; they just “fall into” the life they were born into. I have always been an observer of human behavior; I find people fascinating. The older I get, the more I am convinced that our childhood upbringing is one of the key determinates of our life outcome. This is not new information of course, the field of psychology has determined this many times over and it is also common known knowledge to many…….but not to all. There is also the “nature” versus “nurture” debate. Are we most influenced by our DNA and family history, or our environment? As always, I am in the middle and think it is a combination of both, among other factors. But regardless to which has the most influence on who we are, one thing I know is true, we have a “choice.” Even God gives us free will. God gives us a choice to believe in and serve Him, and our life is full of other choices as well. But here is the kicker…..we don’t automatically know that we have a “choice” in the course of our life. We don’t know unless somebody tells us and our eyes of understanding are opened. There are some of you reading this who have always known that you have choices. Maybe it was instilled in you from your parents, another family member, a friend, your church, a teacher, a mentor, a book, or knowledge from your education. Some people may have had an inherent knowledge or wisdom from God that they have a choice in life since childhood. But then there are some of you who do not know that you have choices, and that is who I am concerned about. There was a time when I didn’t know that I had choices, finding out that I did changed my life. Now I always like to state for the record that I am not perfect, and my life is in no way ideal. I have soooo much more work to do. 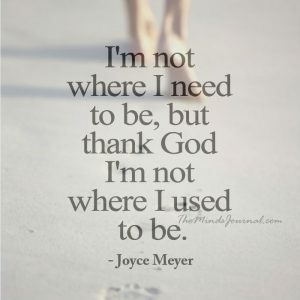 My life is a perfect example of the saying “I am not where I need to be, but thank God I’m not where I used to be.” Although I am not where I need to be, I am now on a much healthier and positive path. 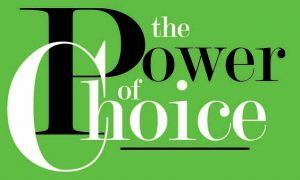 Discovering the power of choice, was one of the tools that helped me to get here. And for those who are seeking a better way of life, I want to share this bit of wisdom with you. Particularly for those who are living in poverty. And from my experience working with this population, I can tell you that most people in poverty do not know that they have a choice in the direction of their life. What is the condition of your life? When you look at the condition of your life, are you happy with it? Yes or No? Be honest, nobody will know your answer but you. Taking an honest assessment of our lives can be hard. It is very easy to judge other people, whether good or bad, but it is very hard to be honest about ourselves. Let me tell you something interesting that I have observed working at a homeless shelter. Most, not all, but most of the women who enter the shelter think that their only problem is needing housing. They have no idea that the overall condition of their life is not healthy. Why is this? Because most of them were raised in poverty, almost everybody they know is in poverty, and they think it is normal. No high school diploma, normal. Multiple children by multiple men, of which most are not in the children’s life, normal. No income or low income, normal. Some of their children being in foster care, normal. Being raised in foster care themselves, normal. Having outstanding tickets-warrants-a record, normal. Not having good hygiene, normal. Family members and/or boyfriend incarcerated, normal. Being dependent on government assistance, normal. Losing jobs over and over, normal. Being dependent on substances such as smoking and drinking, normal. Another reason that admitting the condition of our life is not good is because we don’t want to look down on, or speak ill of our families. We think that admitting problems in our life is putting down our parents, our family, and our selves. It is not easy to say, “my life is not healthy and you know what, some of it is because of my family history, and some of it is because of my own choices.” Ouch! That stings. But you can’t heal and move forward to a brighter future if you are not honest with yourself. Being honest about how your choices have affected your life is not a put down on yourself. It is not self-hate. It does not mean that you have low self-esteem. It doesn’t mean you are not proud of where you come from. It means that you are a self-aware, conscious, awakened person, who has the wisdom and insight to make an honest assessment of your life. And part of enlightened consciousness is realizing that you have the power of choice. Determining who you want to be and the power of choice will start to change certain things in your life. You will look different, talk different, be drawn to different people, and so on. It will automatically affect your choices. And when your choices change, then so will your life. And changing your life doesn’t mean that you were “bad” or “wrong.” You may just want something different. If you are not happy, content, satisfied with the current state of your life, and you accept the fact that some of your choices have contributed to it, then you are on the right path. Admit that your life is not in a healthy state. Acknowledge that your family history and your choices have contributed to it. Choices have consequences. And you are seeing the consequences of your previous choices. Realize that you have a “choice” and can choose to change the direction of your life. Determine who you want to be! What is your mission? Your vision? Change who you surround yourself with. Develop a relationship with God. Read God’s Word, and implement it in your life. Find some examples of the person you want to be. Some in real life, and some in the public arena. Enroll in an educational program. Start a healthy living plan. I will end by sharing one of my current goals in becoming the person that I want to be. I am now happy with the overall state of my life and I am mostly the person that I want to be. Remember, my life is not perfect, but its healthy, happy, and whole. But what I am NOT happy with is my finances. One of my current goals in becoming the person that I want to be is…..increasing my income and financial stability. I have a certain lifestyle that I want to live, and I highly desire financial freedom. Money may not be a priority to you, and that is fine. We all have different priorities and goals in life. But it is definitely a goal of mine and a big part of the person that I want to be. I cannot live in the manner and build the life that I want without it. I am currently working on ways to increase my finances, because I know that it is up to me and that I CAN. It won’t come from a “job” or a “company.” My job is the base of my income, but it is by no means my source. It isn’t easy, and it doesn’t happen overnight. But IT WILL HAPPEN! What kind of person do you want to be? What are some of your current goals to get there? Please share.